Former CIA Director John Brennan is not a fan of President Trump. Just glance at his Twitter page. Trump is "treasonous" and "not fit," according to the former intelligence official. 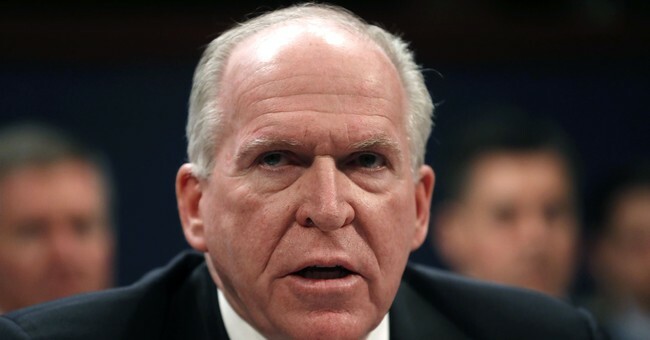 It's highly unusual for a CIA director to be so vocally opposed to a sitting president, yet Brennan has frequently taken his vitriol against Trump to cable news. For months, Brennan has suggested he had information that made him believe the Robert Mueller investigation would result in more indictments for Trump associates. He predicted on MSNBC, for instance, that even members of the Trump family could be in trouble in the "final act" of the investigation. Of course, we now know Brennan's predictions were wrong. Mueller released his report to Attorney General William Barr on Friday, with a note that there'd be no new indictments. In his summary to Congress, Barr said that at no point did Trump conspire with Russia to win the 2016 election. With that announcement, Brennan is now facing a reckoning for his misleading rhetoric, including from media figures like ABC correspondent Terry Moran. According to Moran, Brennan has "a lot to answer for." The Intercept's Glenn Greenwald turned his ire directly at MSNBC for hiring the ex-CIA director to serve as one of their political analysts, suggesting he used his airtime to "abuse our airwaves to disseminate self-serving disinformation." A prime example of cable news being more interested in affirming their audience’s views, rather than informing them. Asked to explain on MSNBC Monday morning why he was so sure there'd be more indictments, Brennan said he "suspected there was more than there actually was." His sore opinion of Trump appears to be mutual. Last August, the president revoked Brennan's security clearance.